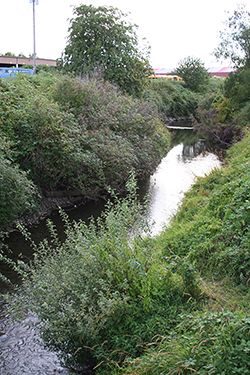 Whatcom Creek is the York neighborhoods northern boundary. The I-5 freeway is the eastern boundary, and on the south were bordered by Samish Way and Abbott Street. 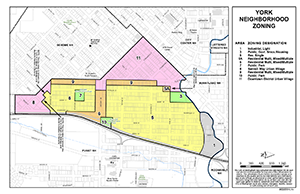 The neighborhood extends westerly toward downtown to State and Holly streets. 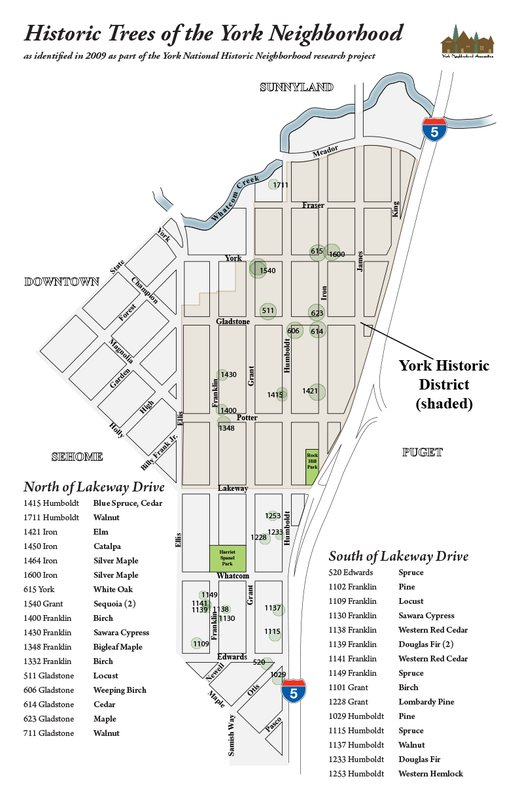 Main thoroughfares that run through the neighborhood are Lakeway Drive, Ellis Street, and Samish Way. 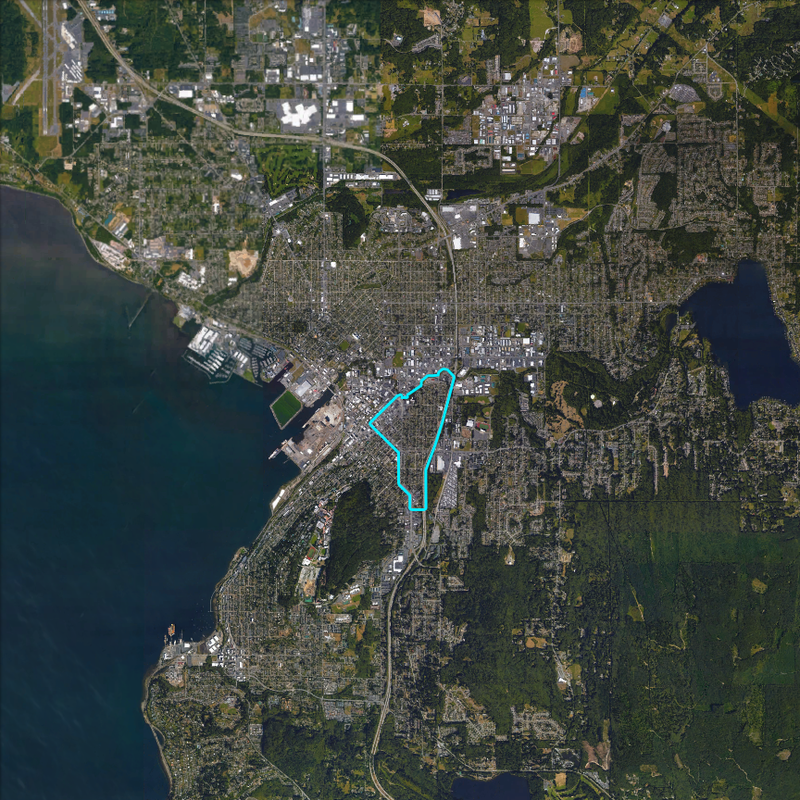 The Blue Line (routes 107, 108, and 190) runs to and from the Western Washington University (WWU) campus, with buses every 15 minutes during peak hours. Route 190 also has hourly runs around the Civic Field complex, in the Puget neighborhood. 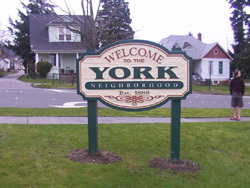 Route 5 connects northern York with Fairhaven via Lincoln Street, with a key stop at the Lincoln Creek Park & Ride, and 32nd Street. At the Park & Ride, riders can also connect with Route 80X for service to Mount Vernon. Route 92 connects WWU with the Lincoln Creek Park & Ride. 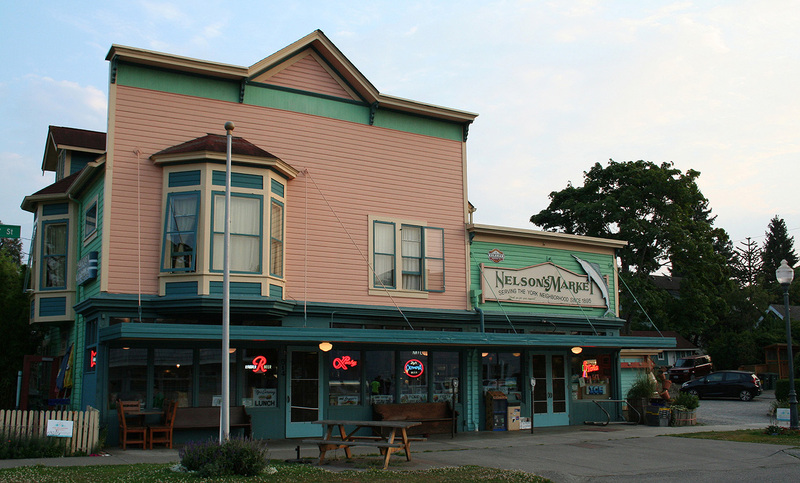 Heading to WWU, catch the bus in front of Nelsons Market (514 Potter Street) or along Billy Frank Jr. Street; heading to the Park & Ride, catch it on Billy Frank Jr. Street, Chestnut Street, or Lakeway Drive. and all of these routes except the 92 originate at the downtown bus station. 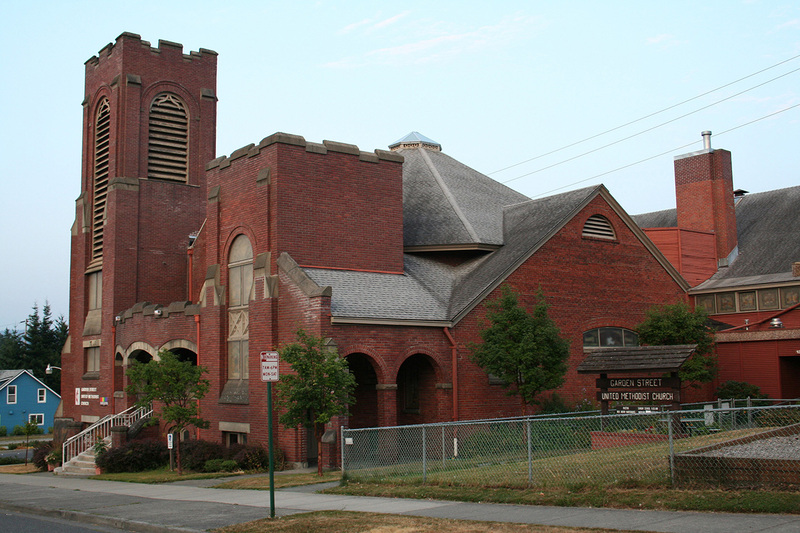 Historic landmarks within the neighborhood include the Garden Street United Methodist Church (1330 North Garden Street, built in 1912), Magnolia Court Apartments (510 Magnolia Street, built in 1908), and Nelsons Market (514 Potter Street, built in 1895). 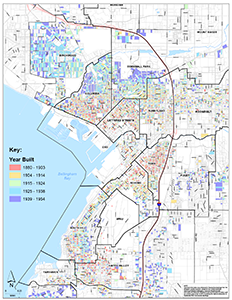 Take a walking tour of the neighborhood by checking out the Historic Map (coming soon). 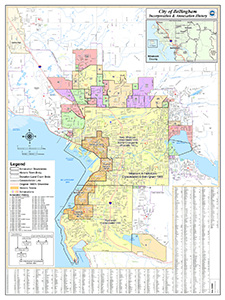 For a more detailed geographical description see our Who We Are Geography and Demographics section.